Twelve years ago today Oasis, one of the most successful bands in British history scored their first number one single. ‘Some Might Say’ which appeared on the album “(What’s The Story) Morning Glory” was one of many classic tracks recorded by the quintet from Manchester. In my latest blog, ‘A London DJ’s Top Ten Tunes – Oasis’, I’ll be taking a closer look at some of the other classic material produced by the group. 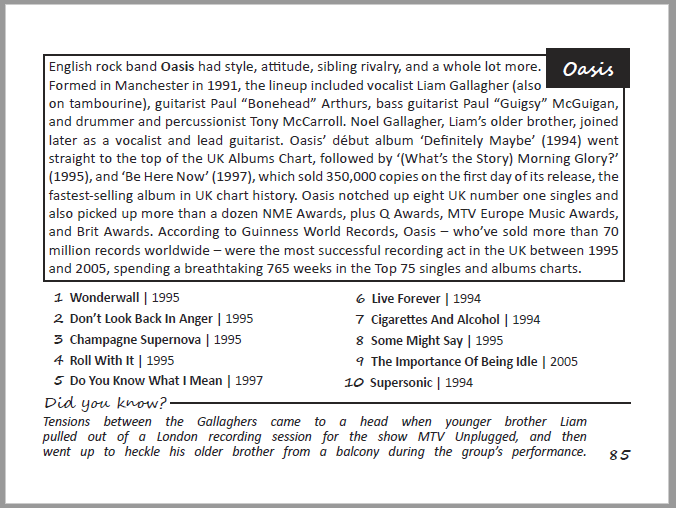 In his book “Top Ten Tunes 2” DJ Pascoe, selected 10 tracks by Oasis to appear before ranking these songs based on various factors. The list makes for interesting reading and contains some undoubted classics. Unsurprisingly Wonderwall appears in the number one position in his book and from my own experience as a DJ it’s certainly Oasis track I’m asked to play the most. 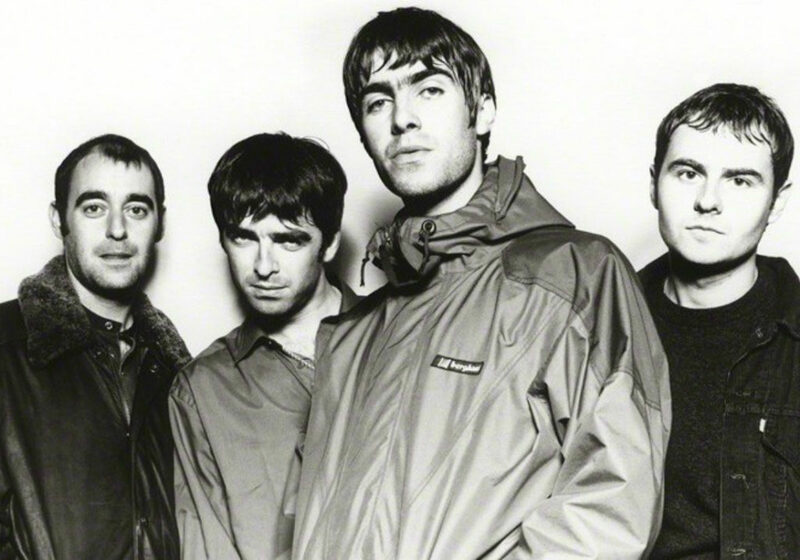 Released in 1995, Wonderwall is in my opinion the bands most iconic track. ‘Don’t Look Back in Anger‘, which DJ Pascoe selected to appear second in his list was released just a few months after Wonderwall is February 1996. Again it’s a great track in my opinion and one that always gets a great reaction when played, particularly towards the end of parties. Aside from ‘Stand By Me‘, which is a personal favourite of mine’s I don’t think that there were any glaring emissions from DJ Pascoe’s list. His list included classics such as ‘Champagne Supernova‘, ‘Roll With It‘ and ‘Some Might Say‘ whilst it also included popular tracks like ‘Supersonic‘. Whilst I have no real issues with the order the tracks appeared in, I must say that I was a little surprised that ‘Cigerattes and Alcohol‘ didn’t feature in the top 5 of DJ Pascoe’s list. If you’ve enjoyed reading this blog and would like more information about DJ Pascoe’s books you can do so here. You can also find blogs similar to this one here.